This will not appear on your test. To power all of its molecular machinery … each cell contains anywhere from a few hundred to a few thousand mitochondria. And every one of those mitochondria contains a large collection of rotary motors. With every breath you take, you set off a long series of actions and chemical reactions that make those rotary motors spin around and around in every living cell of your body like zillions of turbines, windmill vanes, or airplane propellers. These rotary motors turn out a concentrated energy food, an energy-rich molecule called adenosine triphosphate, or ATP. And this ATP, more than any other molecule in the cellular inventory, makes all the rest of the machines go. This is the fuel of all our mortal engines. Without ATP it would be useless for us to breathe in air, to drink and to eat. Without ATP, even the smallest piece of action in our bodies would slow down and stop. This entry was tagged Chapter 7.2: Aerobic Respiration, Krebs cycle, music. Bookmark the permalink. haha I’m going to memorize this song, it could be useful fot the test. Remember that you don’t have to learn the complex word, such as the names of the oxidized molecules. But if you are willing to sing the song in front of the class, I can give you extra credit. the Kreb cycle is a process that never ends and that you gain 38 atp a minute or by seconds ,right. you respond. For every single molecule of glucose, we get 38 ATP: 6 come from Glycolysis and Aerobic respiration, 32 come from the Electron Transport Chain. Interesting so what was their GPA? This is part of a graduate school (college) investigation on how can hip-hop can be included in H.S. Bio Curricula. Remember that The Rhymebosome has many other songs that deal with a lot of the topics we’ve already discussed in class. The song is very cool it has a lot to do with the what what we talked about in class. Indeed. The song had a lot to do with our class because it discussed Cellular Respiration; but, what exactly can you tell me freom the song that had to do with our class? really this song kinda helped me for the test, it explains very well the process and it is also a great song i liked it. Remember that their website, The Rhymebosome, provides with many tools; not just for Bio, but for other natural sciences as well. im impressed college kids made this song which is very useful for the understanding of the Krebs cycle which is so long and complicated! Anyone can remember this song and definitely will help grandiosely on his/hers test! Remember that The Rhymebosome has many other resources. They also review up and coming hip hop artists. Creativeness is very important for learning. And these guys are very creative indee. This song was very useful for me for the test. I can say that it explained even better than the same book. Many other school programs should have this type of learning in their curiculm. Loved the song. Educational experiences can be found anyware, even in a hip hop song. I’m glad it gave you some motivation. Remember that there are many other songs on The Rhymebosome that can help you with Bio. I like how the rythm of the rap in the song gets stuck in your head and sudently you understand what this is. I had a struggle till I heard this song. It all made sense to me after. Actually, a lot of research has been done on learning and music. I encourage you to google ‘cognitive science’ + ‘music’. Now I know how to get energy on what I eat. A very complicated process, but vital to our existance. Now you know why I constantly remind you to visit the blog. A very useful song indeed. There are many other resources available on The Rhymebosome—the web page I got this song from. Not an easy job to fit into verse and rhyme something as complex as Cellular Respiration. They are actually pretty good lyricists, and they have a great taste. The song’s hook is a nod to old school hip-hop. They also showcase videos and acts in their website: The Rhymebosome. The use of music for educational purposes is cool! 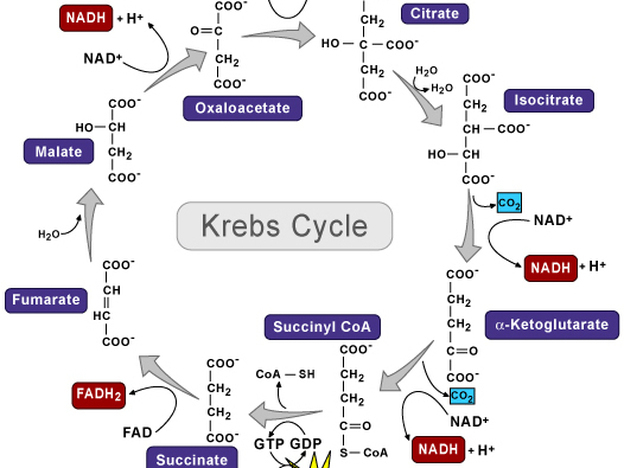 Those college kids changed my perspective on the krebs cycle. They changed it for me as well. This would have been a great help for me a decade ago. Its very impressing that the Kreb cycle isn’t a easy process to learn and maybe through this in the future i can use this rap so i can learn a lot faster!! Now you know that The Rhymebosome exists. Don’t hesitate to visit their web page more often. Especially if you plan to study biology at a college level. This is a cool song and itnhelpsmyou understand the krebs cycle more. This music video was one of the many methods I used, in order to study for the test. It was a tremendous help. I found this video extremely useful because it’s an approach you don’t usually encounter for a subject as complicated as this one. You’re able to sing along and view the cellular respiration process in a new and entertaining way. We’re not used to being able to study and gain an educational experience by hearing a hip hop song, which is why hearing this makes it even more enjoyable. It’s amazing how advanced technology has become throughout the years. Thank you for showing us this song and the website where you found it, The Rhymebosome. I’ll definitely be using it for any upcoming tests. As long as you’ve learned what gets oxidized and what gets reduced, half of the battle has been won. This video makes this very clear. This is a nice video! Nice effects, and very accurate and useful information. Its good that many people nowadays try to take information and put it into songs so students that need help learning the subject, could get the extra push they needed with a catchy song. Cellular respiration was one of the hardest things for me to learn and since I saw the video in class, it made the material so much easier to learn. From there I started looking at other music videos about cellular respiration and they helped me a lot to study for the exams. It motivated me to actually learn the cycle and it made a difference. This music video had mad a mark on me and my grade.